>I was so excited to get the Rumparooz in the lil monster print!! I was expecting white/silver from the photos online, but it’s actually yellow. 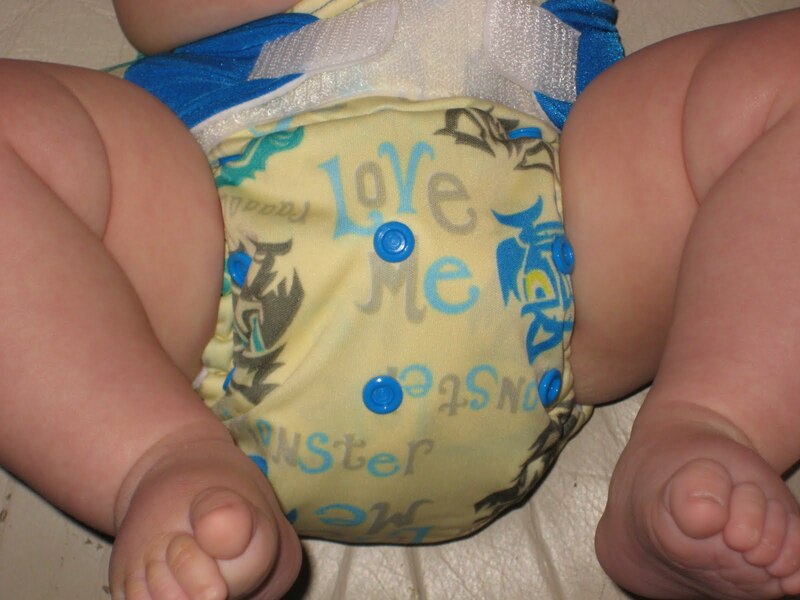 I was much anticipating the inner gussets, which I haven’t seen on another diaper. The pocket was easy to stuff with the two included inserts, but also contained the inserts much more easily and nicely than other diapers. With this one, I don’t have to worry about the insert hanging out or touching his skin. 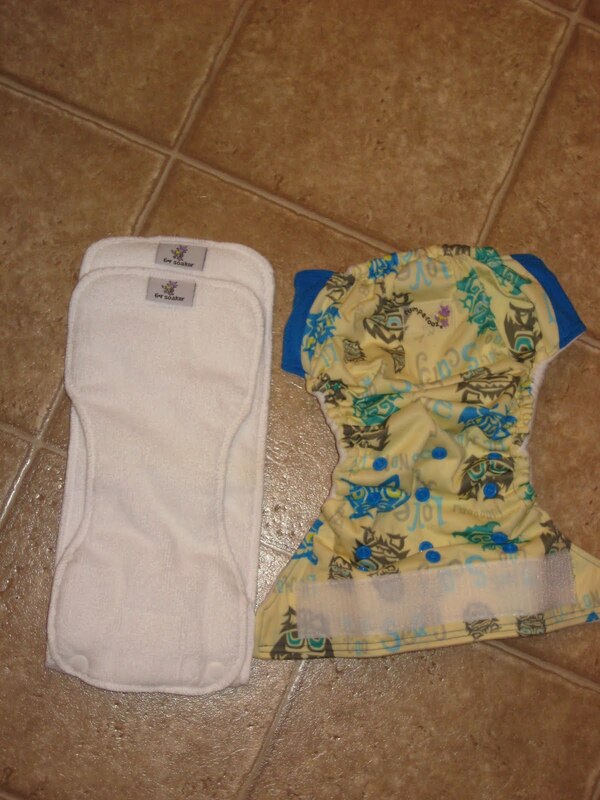 The newborn insert is very nicely contoured, for a great fit on a tiny baby. I was a little worried because the diaper seemed really tiny. 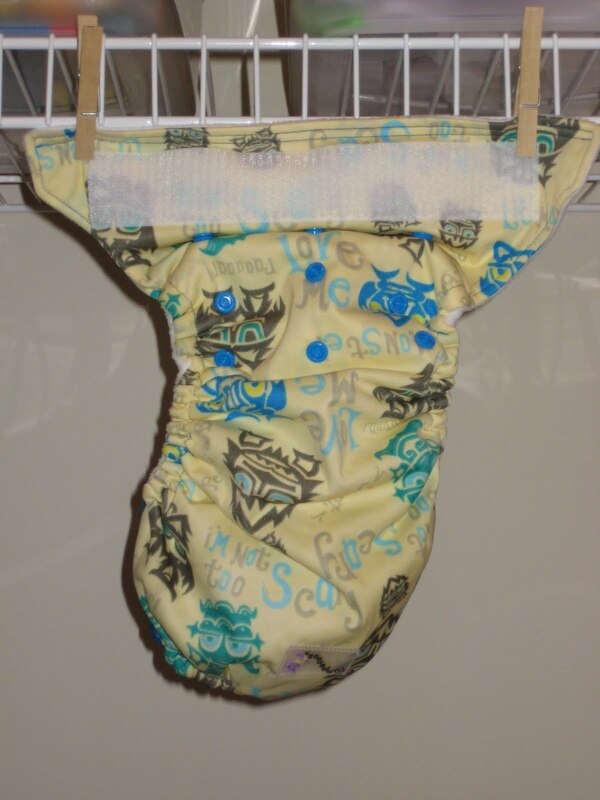 However, I quickly discovered that the elastic is just gathered much more tightly inside than other diapers. It stretched to the same size as a BG 3.0. Aside from the inner gussets, the other thing that makes Rumparooz stand out is the Extra Small setting. They say it will fit at 6 lbs and it is very tiny! I’ve had no problems with this diaper. The “6r soaker” snaps together with the newborn insert/doubler to get a custom absorbency where you need it, but I’ve kept it simple so far! thanks for the info I cant wait to try one of these! do you still use this diaper?